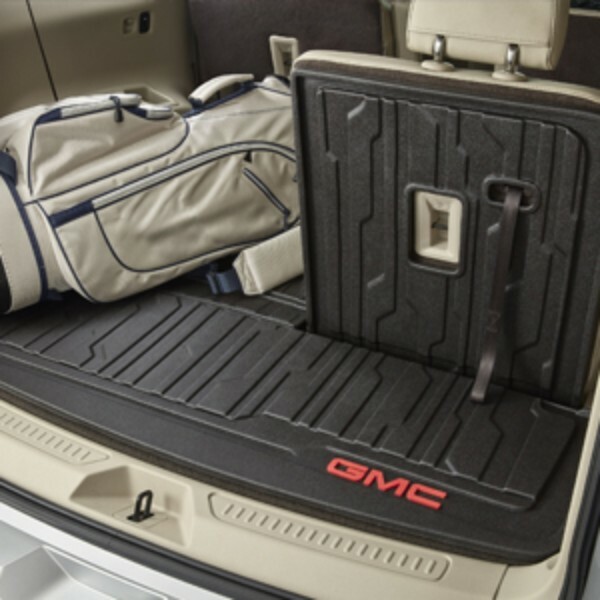 The Integrated Cargo Liner covers your Acadia's cargo area floor as well as the back of the third-row seats, providing enhanced protection when carrying items of various sizes. Heavy-duty, non-skid surface minimizes the movement of objects and is easy to clean. The liner attaches to and moves with the third-row seat backs, and . Does not need to be removed from the vehicle when carrying passengers in the third row. Cargo and load capacity limited by weight and distribution..